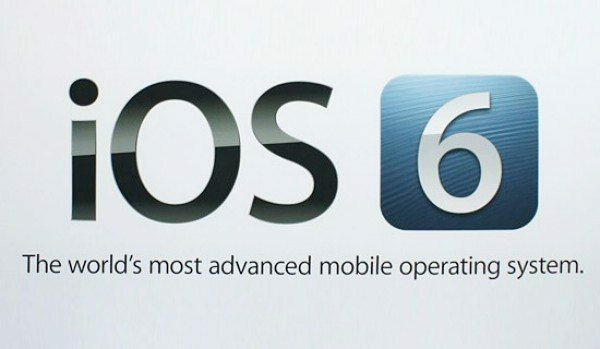 Yesterday millions of people with Apple iOS devices were eager to download the very latest mobile operating system from the company, iOS 6. Although the process wasn’t smooth for everyone, plenty of people now have iOS 6 up and running and are eager to try out the new features and improvements. However some users are having Passbook problems with difficulty finding compatible apps. If you’re one of the people who have had problems even downloading the iOS 6 update then head to our ‘iOS 6 problems with downloading’ article that we posted yesterday where you can see the sorts of difficulties that many people seem to be having. However if you now have the riches of iOS 6 and have tried out the new Passbook app feature but were unable to access suitable apps then we have some help on the way to get you access to the App Store and the compatible apps for Passbook. The Passbook feature is a new mobile wallet application that can be used for payment and also storing information such as ticket bookings, hotel reservations, flight info, coupons and more. Many are eager to try this out but an article on Gotta Be Mobile points out that some people are having problems with the new app whereby a Cannot Connect error keeps showing when trying to access the App Store via Passbook. Fortunately a simple fix has been detailed that can solve this problem and doesn’t take much time. Firstly go to Settings and click on General then find Date and Time on the list and click. Change Set Automatically to Off then go to Set Date and Time and click on Today’s Date. The option will appear to change the date and you then input 2013. This will stop the Cannot Correct error so that when you then enter the Passbook app you are able to access the App Store from it to find compatible apps for this new feature. Some of the apps already compatible with Passbook are United Airlines, Live Nation and Fandango. If you ever want to change back to the real date head to Set Automatically and turn it back On. If you’d like to see a little more about the Passbook app as well as the new Apple Maps app then head to our previous article here. We’d like to hear from you if you have encountered difficulties with the Passbook app in iOS 6 so far. Did you manage to use it successfully yet? If not and you try out the above fix we’d be grateful if you could let us and other readers know if the issue was solved? Send your comments to let us know. changing the year solved my issue. changed it back to auto set time & date and no problems connecting to App Store. thanks for the tip!! fix worked fine for me 🙂 wasnt able to get into it at all not that there is anything usable yet! I changed the year and it still isn’t working for me. I’ve tried this fix and no success – still can’t connect to iTunes through the Passbook app. I have a iPhone 3GS, if that makes any difference. I updated yesterday on iPad3 & iPhone 4S with no problems…works great! Love the new items & the look. Have you actually used Passbook or just assuming that it works as advertised? Changing the date helped access the App Store’s passbook portion, but I haven’t been able to install any apps since my update to 6. All apps just get stuck on waiting. My passbook app was failing to connect. Tried the fix and it worked – even put the date back to Set Automatically and passbook is still opening and connecting… of course, I still have no clue how to use the stupid app. The change date fix did not work for me. Downloaded fandango & can’t see how to sync it w/ passbook. Very frustrating. i’m having the same problem–with all the passbook apps! Please someone help!! ok so i was having his problem,but why wont it download the apps onto the actual “passbook” app like its supposed to?! its downloading them on to the home screen, i dont want them on my home screen i want them on my passbook app!! SOMEONE HELP!!! Apparently this is how it’s supposed to work. I expect we’ll all have to create a folder for all these apps. I updated yesterday and wasn’t able to get on the internet, I was advised to do a network reset and all was okay. I DO NOT have an icon for the new Passbook? Any ideas how I can get it please? If you don’t have an icon for Passbook then you are most likely not running iOS 6. There is no way to download the app. It’s a built in app. No problems using it … except the only app that could be used — the Target app — doesn’t work with Passbook. All of the activation links they texted me failed. I can’t update any apps anymore. Since the update, it prompts me for my password, it then accepts it but notifies me it’s taking me to my payment details… I don’t know why, but even with the sans details as before which are accurate… It won’t accept them, so I can’t update my FREE apps. It’s lame, but just one of a few issues. Whose mapping system are they linked to ? In Chesterfield they are showing old football ground new one (a year old) not shown nor is the new road layout !! Hey.. after changing the year to 2013, the app store does not show any apps on the list “Apps for Passbook”.. any solution for that ? changing help for 5 min, mamaged to download 2 apps. after still no connection to store, cant connect to FB or get email, either on Wifi or 3G. well…I go to the appstore through Passbook, and I don’t see any app. Most probably because I’m in Portugal and if there is any, is most likely only available in the US. It’s working but I can’t see any apps…. I tried both suggestions on moving forward 1day and 1 year but nothing… Help! Changing the input to 2013 didn’t really work for me. I tried the fix listed above 3 times and im still getting the error cannot connect to iTunes store. Even though I changed the year it is still not working! Pretty bummed! and my imessage is gone! I even restored my phone…..bummer! Didn’t work for me. Still can’t connect. And you have to turn iMessage back on btw. This is dumb, apple. Lets get a fix here. The passbook fix didn’t work for me. Fix does not work. I’m addition I downloaded an app that should work with Passbook (Target App) and it does not! Worthless App – not like apple at all. The “Date Change” trick does not work for every user. Apple need to fix this themselves; it’s pointless introducing these new features if people can’t get them to work. Hi all, just to let you know that I tried the above fix and sadly it did not work! I still cannot use Passbook as it states that it ‘Cannot connect to I- tunes store’. Any other help options. I tried this fix since yesterday and it didn’t worked. Now I tried it again 10 min ago and it’s fixed. Strange but what the heck. It works now! Setting the date a day or year ahead does not work for a lot of people. Didn’t work for me. I even tried a settings reset as one person on another site said, that two didn’t work. Only thing that worked for me was setting the date to Jan 1, 2038. Give that a try!